A new study about Star Wars: The Last Jedi suggests the rhetoric that surrounded its release in 2017 was in part the product of organized twitter campaigns by activists, bots and even Russian trolls trying to advance wider political agendas. 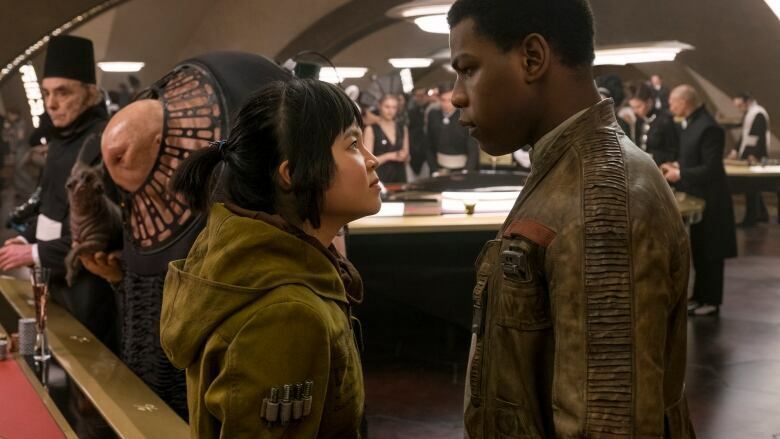 The diversity in the casting of Star Wars: The Last Jedi in 2017 gave added buzz to the eighth film in the franchise, but it also drew racist and misogynist commentary online, and caused of the film's stars to shut down her social media. Now, a researcher is arguing that rhetoric was in-part the product of organized Twitter campaigns by activists, bots and even Russian trolls trying to advance wider political agendas. Morten Bay, a research fellow at the Centre for the Digital Future, analyzed tweets sent to the film's director, Rian Johnson, for casting diverse characters in key roles. Of the 967 accounts engaged in the online discussion, Bay said that 33 were troll accounts — of which he suspects 16 are Russian — and 11 were bots. "What I would like people to take away from this study is that these tactics that we saw in the 2016 presidential election here in the U.S. — for instance this idea of sowing further division in divisions that are already there — that tactic is now being taken up by people on the right and people who are anti-feminists in order to try to push their agenda," Bay told The Current's guest host David Common. Bay says that these twitter trolls were tapping into existing racist and sexist beliefs held among some audience members, but their campaigns worked to "widen" existing rifts. Listen to the full audio at the top of this post.